Dinesh Krishna Swamy is an Independent Director of our Company. He is a professional with around 34 years of experience. He received a bachelor’s degree from the Government Science College, Bengaluru in 1971. Thereafter, he was granted a master’s degree in mathematics from Bengaluru University, followed by his Honorary Doctorate in literature from the Karnataka State Open University in 2007. 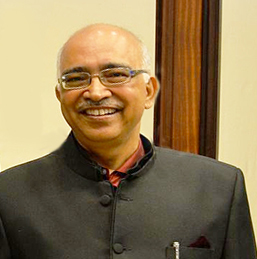 In 1981, K. Dinesh was one of the 7 founding members of Infosys Limited. Since its founding, K. Dinesh has held various positions such as a board member, head of quality, information systems, head of the communication design group.